In the natural world, intelligence takes many forms. It could be a bat using echolocation to expertly navigate in the dark, or an octopus quickly adapting its behavior to survive in the deep ocean. Likewise, in the computer science world, multiple forms of artificial intelligence are emerging — different networks each trained to excel in a different task. 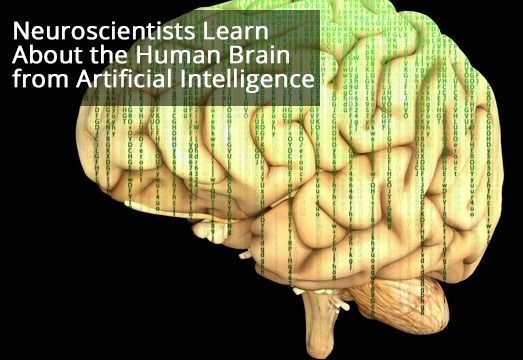 And as will be presented today at the 25th annual meeting of the Cognitive Neuroscience Society (CNS), cognitive neuroscientists increasingly are using those emerging artificial networks to enhance their understanding of one of the most elusive intelligence systems, the human brain. In Oliva’s work, which she is presenting at the CNS symposium, neuroscientists are learning much about the role of contextual clues in human image recognition. By using “artificial neurons” — essentially lines of code, software — with neural network models, they can parse out the various elements that go into recognizing a specific place or object.